Dynamite compliments all we do holistically for our horses. 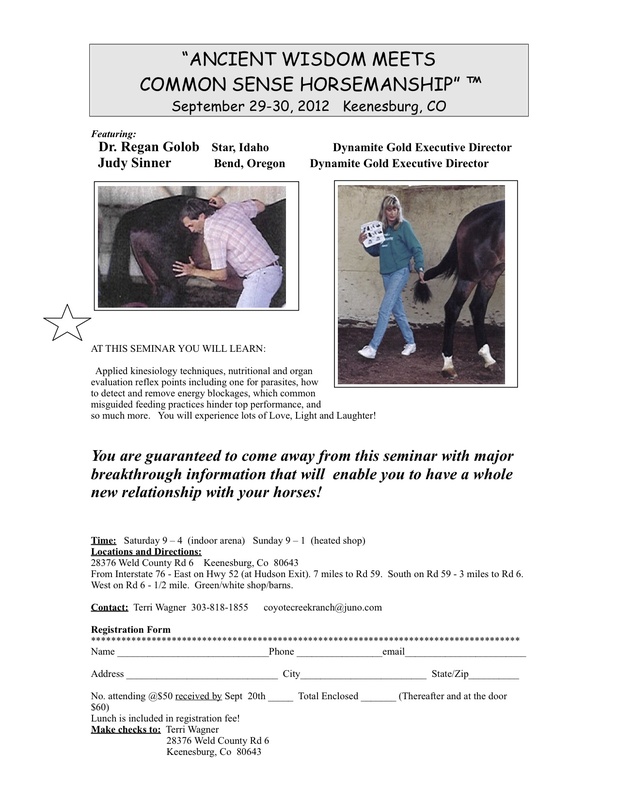 Dr. Regan Golob and Judy Sinner of Dynamite Distributing are coming to Colorado to offer an amazing seminar that will help your horses’ health and your relationship! Sept. 29th & 30th from 9-4 on Sat and 9-1 on Sun. The cost is $50 if registered by Sept 20th, $60 after that. Lunch is included in the price. Previous postSweet Savannah needs a new home!